The term “relapse prevention” is thrown around a lot within both the addiction treatment industry as well as the recovery communities. Whether it is in reference to the overall cognitive-behavioral approach to identify and prevent high-risk situations for any number of dangerous obsessive-compulsive behaviors, used specifically in reference to Terence Gorski and his often-used CENAPS Model of Relapse Prevention Therapy in terms of chemical dependency and substance abuse, or even just used as the content for specific group therapy sessions within drug treatment programs, the term relapse prevention is used rather freely in the worlds of treatment and addiction recovery. Regardless of how or why or when it is used, relapse prevention is always used in the same context though: A way or a model or an approach that prevents the patient from relapsing into previous dangerous behaviors or substance use. 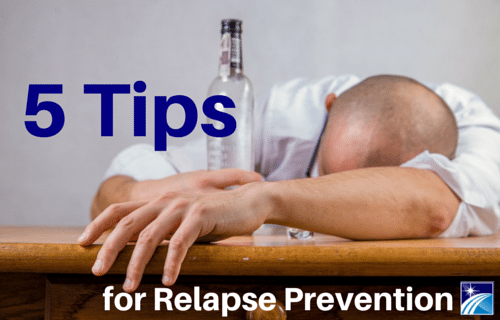 One other major component of relapse prevention is that “relapse behavior” or dangerous behaviors that ultimately can lead to a relapse on drugs and alcohol often begin way before the addict or alcoholic ever picks up. Therefore, since everyone is different and treatment should always be individualized, what are some basic general principles that can be used for any patient in rehab in order to prevent relapse and support long-term sustainable recovery? Whether it’s Alcoholics Anonymous (AA), Narcotics Anonymous (NA), Heroin Anonymous (HA) or any of the major 12 Step fellowships, it is important that a patient find the fellowship he/she is comfortable with and get involved. This means not just attending meetings, but getting a sponsor and have that sponsor take you through the 12 Steps. This also means taking the suggestions offered in meetings, getting a home group and creating connections with other people that attend meetings. This goes hand-in-hand with the previous suggestion. There is ample evidence that demonstrates addiction cannot be overcome by the addict alone. At the heart of addiction and alcoholism is an unbearable loneliness that anyone that is in recovery can identify with, knowing it all too well firsthand. So the power of groups and community is important. That may mean within the 12 Step fellowships, that could come from a religious organization at one’s church or synagogue, it could come through a healthy alternative or hobby. Whatever the case is, however, the person new in recovery needs to find a like-minded group of people that surround and support them on their journey of recovery. For any patient leaving an acute inpatient or residential treatment center, there should always be a comprehensive after care treatment plan in place. This may include attending an Intensive Outpatient (IOP) treatment program or seeing a therapist or psychiatrist. Make sure that you are continuing to seek help through the care of a clinical professional. Remember, 30 day inpatient rehabs are simply the beginning. Addiction is a disease that is chronic, progressive and ultimately fatal if left untreated, and 30 days in rehab is not a cure for addiction. A person needs to continue through treatment, receiving appropriate help along the way. Additionally, patients with a dual diagnosis that may suffer from clinical issues such as depression, anxiety or Bi-Polar disorder need to continue care and seeing professional help and support in order to deal with mental health or emotional issues that may have as well. Addiction and alcoholism are not positive or healthy lifestyles to live and many people have been living in their addiction for a very long time. It is important to find healthy alternatives that guide you back on a path of recovery. Often this can revolve around holistic treatment or wellness activities that can heal the body, mind and soul. This may include joining exercising, joining a gym or a class or an activity like yoga. This could include finding mentally calming activities like meditation. Acupuncture, massage therapy, reading spiritual literature, going on wellness retreats and other similar activities promote a balanced, healthy lifestyle that guard against relapse and aid in stress management. One of the hardest things to do when getting clean and sober is deal with the emotional rawness of life. Addicts and alcoholics often medicate themselves so much for so long that they don’t have the faintest idea of who they are, what they like and how they can go about having fun or enjoying life. When they go through rehab or drug treatment and come out clean and sober, one of the most difficult issues is learning to enjoy life drug free. They need to find themselves, their personality, their voice and learn what they like to do. Figure that out and once you find it- go do it! All of the four examples above can help with this, but action is the key. Do you like music? Go to concerts. Do you like creating art? Go express yourself through painting or photography or writing. Recovery is supposed to be a journey of finding and recreating yourself through the loss of your addiction. Recovery is supposed to be about enjoying life and in order to do so, one must find out who they truly are inside. Every addict and alcoholic is different and every addiction treatment plan needs to be individualized for the best patient care. However, the five points listed above give a fairly general look at what is the best way to guard against relapse and have an active and practical relapse prevention program in place.